Home / Who Is Responsible For Drains? Who Is Responsible For Drains? Any of us can fall victim to blocked drains or backed up sewers, which if left untreated can cause even bigger problems. Admittedly it isn’t the nicest job to have to sort out so can cause controversy over whether it is the property owners or the local water authorities duty to see to their upkeep, so it poses the question: who actually is responsible for maintaining and repairing our drains? 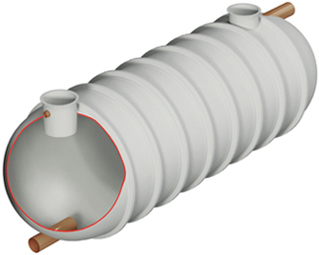 In the world of drains, the main types can be divided into three categories; drains, lateral drains and sewers. A drain takes waste away from your property, a lateral drain also takes waste away from your property but is located outside the boundaries of it (often under a road or pavement) and finally a sewer collects the waste from the drains of several buildings. So, depending on what type of property it is and where the issue lies, depends on whose responsibility it is to sort it out. If you own the property, then it is your full responsibility to ensure that your drains are maintained and repaired whenever necessary. So, if you have a problem with either your drains, gutters or pipes then get in touch with your local drainage contractors to repair the problem for you. However, despite the drains being primarily your responsibility, the Environmental Health Department can still demand that you carry out work on your drains if it poses a potential problem and you don’t see to it yourself. If these orders are ignored, they will do the work themselves and bill you for it after, as you are solely accountable for it. As these drains run outside the premises of your property – despite the drain originating from within your premises – it is the responsibility of the local water and sewage company to see to the regular maintenance or any repair work that may need doing on your drains. Sewers remove water and waste from pipes and lateral drains from both yours and other surrounding properties, for this reason they are publically owned. Therefore any problems with their functioning fall on shoulders of the local water authorities. So, you should contact your local sewerage company to get the problem fixed. For those who have cesspools or septic plants as an alternative to main public sewage systems, the owner of the property is held responsible for the maintenance and repair of any damage to these systems. Ultimately as a general rule of thumb, you remain accountable for the faults of drains, gutters and pipes on your own property, but you can call on a dependable and respectable drains company to deal with the issue at hand. If you are in need of a professional and reliable drainage company to see to your sewage management and offer you drainage solutions then get in touch with Wildon UK today for more information.